Arriving home means sifting through thousands of photos. Some are rubbish and should be discarded, but rarely are, others are really interesting. 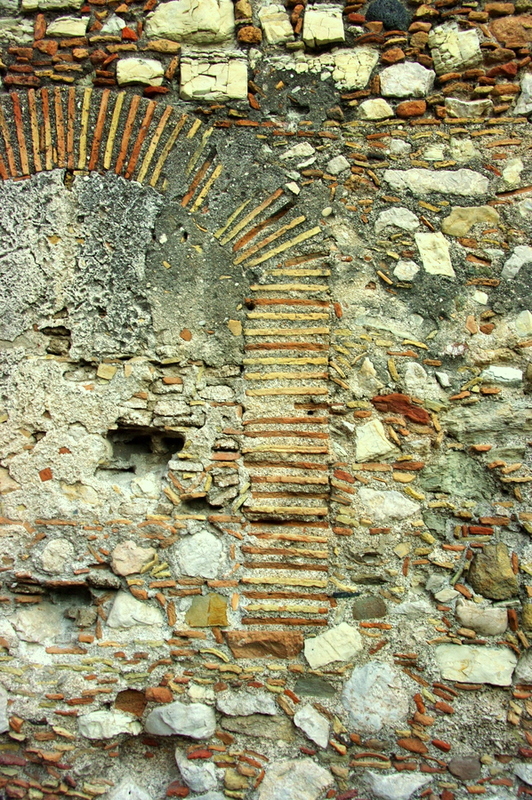 While wandering around the streets of Taormina I couldn’t help photographing some of the incredible old stone work. Not scenic and spectacular, but amazing just the same. I didn’t notice when I took the photographs, just how interesting and varied the walls were. 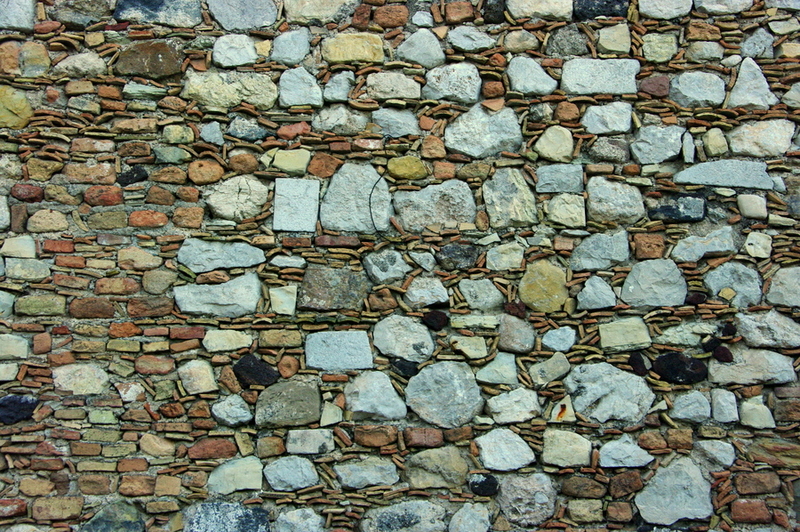 Looking at them, one after another, on a computer screen shows just how unique the stone work is. 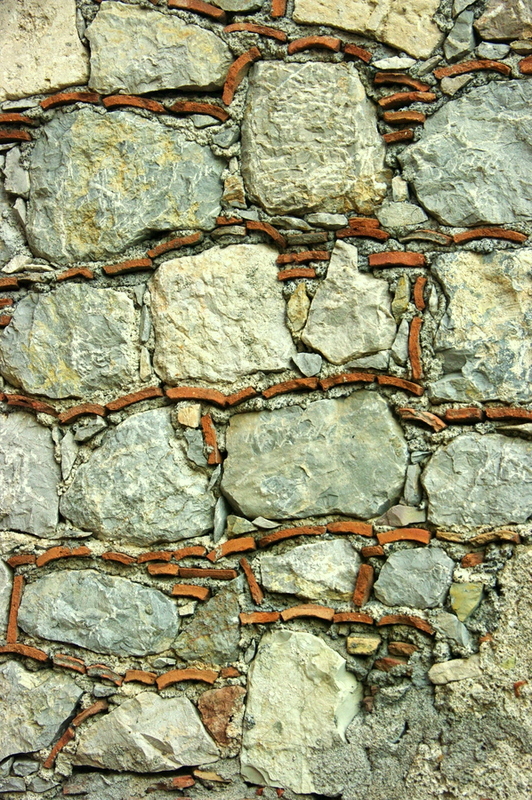 Layers of broken roof tiles and terracotta paving blocks are woven between the large pale stones which are occasionally punctuated by black lava rocks from Mt Etna. 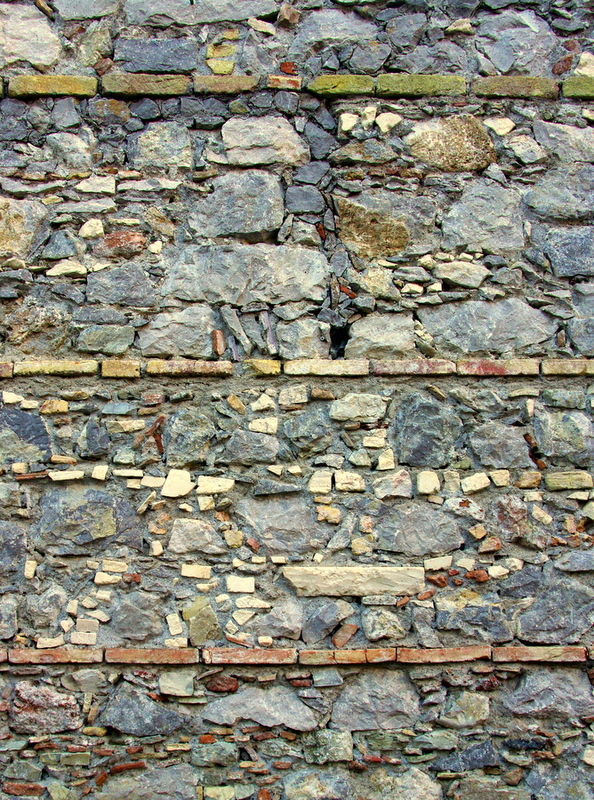 The ancient binary data hidden in the layers of this wall is surely the basis for a best selling novel. Possibly called “The Sicilian Code”. This entry was posted in Architecture, History, Italy, Sicily and tagged brick walls, roman walls, stone walls by splashingpaint. Bookmark the permalink. I love these, what great textures….. Yes, great textures and interesting variation from one part of town to another. thanks you for these amazing photographs but it will be interesting to see how you ‘ll interpret now through watercolor with your particular style. (I hope that that english isn’t too bad and that you’ll understand what I write. I guess those patterns and textures will find their way into some paintings. I’m a sucker for unusual brick walls. I often sneak an interesting type of bond into my paintings. 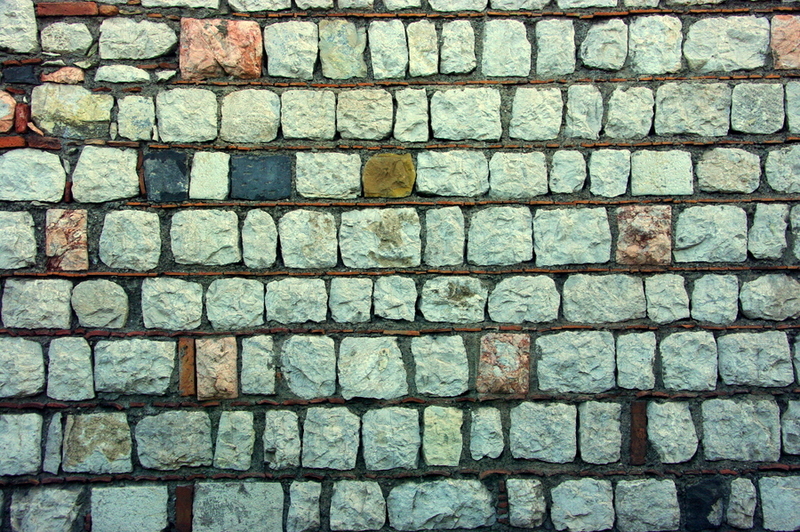 It usually goes unnoticed but occasionally someone will say isn’t that an English bond or Flemish bond or whatever. Great pics John – real works of art. I guess it will inspire you great paintings. I hope they inspire great paintings! 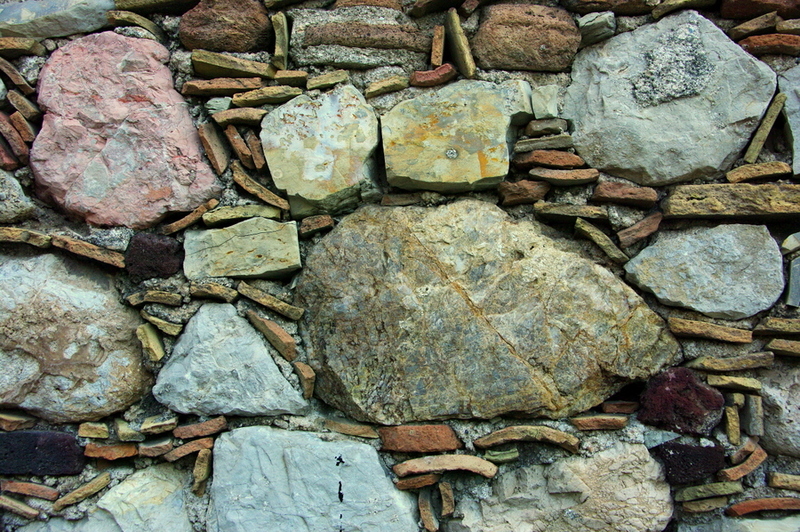 Who knew how beautiful these photos of stone work could be. Each is like an indivual abstract painting. thank you for sharing these! These are fantastically beautiful – full of color, texture and rhythm. Each photo is like a glowing abstract painting. Have just had a look at your wonderful photos and paintings you did in Italy, fantastic work , i have been practicing a lot in watercolour and have also tried the wc canvas , i like working on it but still tend to do most of my work on paper. Will see you on the cruise as i have signed up to go . Great to hear from you, and good to hear you have been busy painting. The cruise around New Zealand should be lots of fun. We caught up with Amanda & Gordon, Amanda Hyatt and Greg Allen in Melbourne last week. They are all excited about the cruise too, so should be great. Melbourne was freezing – made Cape Leeuwin look warm and cozy!